When you think about vacations, the question pops up naturally. The answer, however, could be tricky to find. The worldwide famous Greek islands are so many and so gorgeous that it’s really difficult to pick amongst or indeed pick only one, for that matter. YourGreekIsland.com will help you discover the right Greek island for you. Prepare yourself then for some island hopping in Greece! Are you travelling alone/with friends/your significant other? Do you fancy partying or relaxing under the sun? Are you looking for a cosmopolitan or an unspoiled destination? Whatever you like, there is the perfect Greek island for you. The idea is simple: Visit our homepage, name your criteria (what you wish for in an ideal holiday) and we’ll present you with the best matching Greek island. 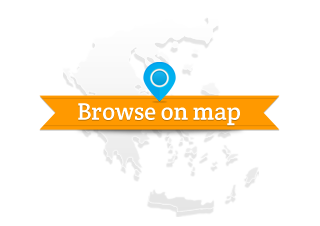 The website provides an overall profile of each Greek island, plus helpful suggestions on beaches, food and things to see & do. Hospitable people, picturesque villages, dazzling beaches, fascinating sightseeing, traditional feasts, gastronomic surprises and so much more guarantee you an unforgettable vacation in the Greek islands. We would be delighted to show you around via yourgreekisland.com. Choose the best Greek island for you!